Spectacular, must-see Batiquitos Lagoon, golf course, & back country hills views from this executive caliber home in highly desirable & gated community of Monte Mira! White water Pacific Ocean view from the community entrance! Highly upgraded home throughout with the option of renting it partially furnished or unfurnished depending on the needs of the tenant. 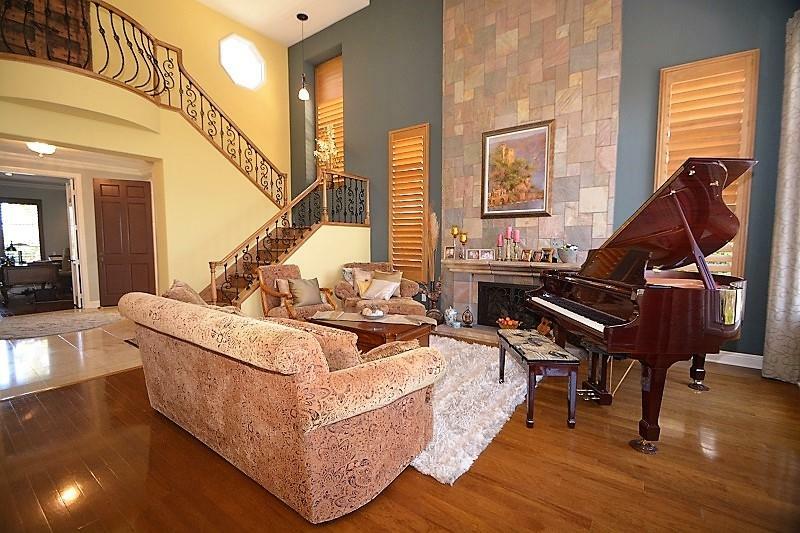 High-end design materials include travertine tile, hardwood floors, granite counters, built in appliances. Spectacular views of Batiquitos Lagoon, golf course, and the back country hills from this executive caliber home in the highly desirable and gated community of Monte Mira, at the top of Skyloft Rd in Encinitas! White water Pacific Ocean view from the community entrance and blue water views from the upstairs West facing bedrooms! This is a highly upgraded home throughout with the option of renting it partially furnished or unfurnished depending on the needs of the tenant (furniture pictured in photos is currently in the home at the option of the tenant can be left in the home if desired as a furnished rental). High-end design materials include travertine tile and hardwood floors, granite counters, custom cabinetry, built-in appliances, wrought iron banister, elegant plumbing fixtures and plantation shutters. New refinish on the wood floors and freshly painted throughout the home. The floor plan is open and bright with high ceilings, custom built-ins, large formal living and dining rooms, cozy family room, gourmet kitchen, and 2 fireplaces. The upstairs Master bedroom boasts plush carpeting, stunning views, deluxe custom closet shelving, and an elegant bathroom with dual vanities, marble counters, and tile lined, glass enclosed shower. One of the upstairs guest rooms features a Murphy Bed which can be pulled down for guests or kept in the down position for a full time bedroom. The downstairs office could be utilized as an optional bedroom for visits from family members. Enjoy the ocean breezes and dramatic views while lounging outdoors on the stone/slate lined patio or while soaking in the back yard hot tub. The Monte Mira neighborhood is secure, private, peaceful and well-kept with all front yard landscaping maintained by the HOA. The backyard will be maintained by regular gardener service as part of the monthly rental rate. A/C and Washer/Dryer included. Pets OK with restrictions. No smoking. 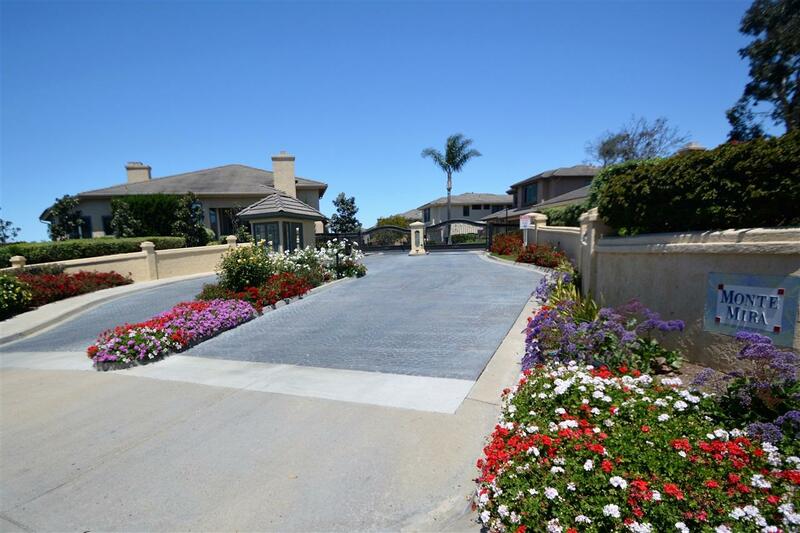 The home is located in close proximity to Moonlight, Ponto, Beacons and Stonesteps beaches as well as shopping and restaurants in Carlsbad or Encinitas. Convenient commuting with easy on/off access to Interstate-5. 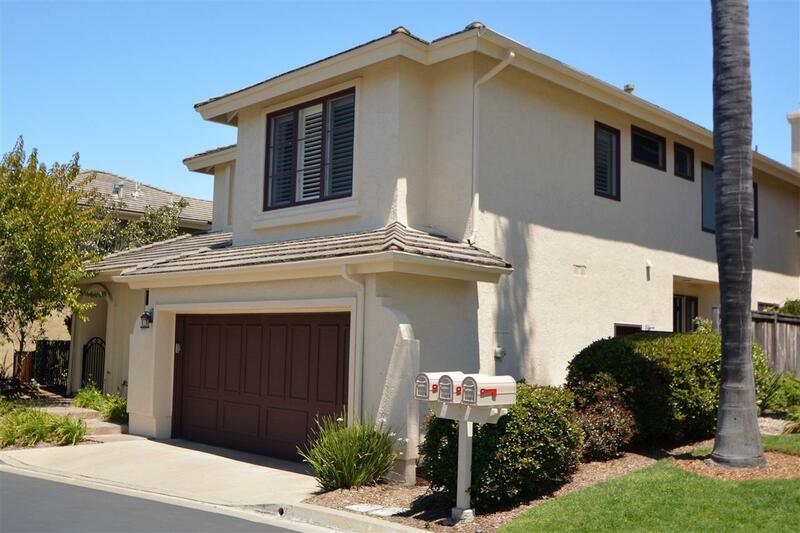 It is also just a quick drive to area golf courses, Carlsbad, Del Mar, La Jolla, downtown San Diego and other San Diego County destinations. 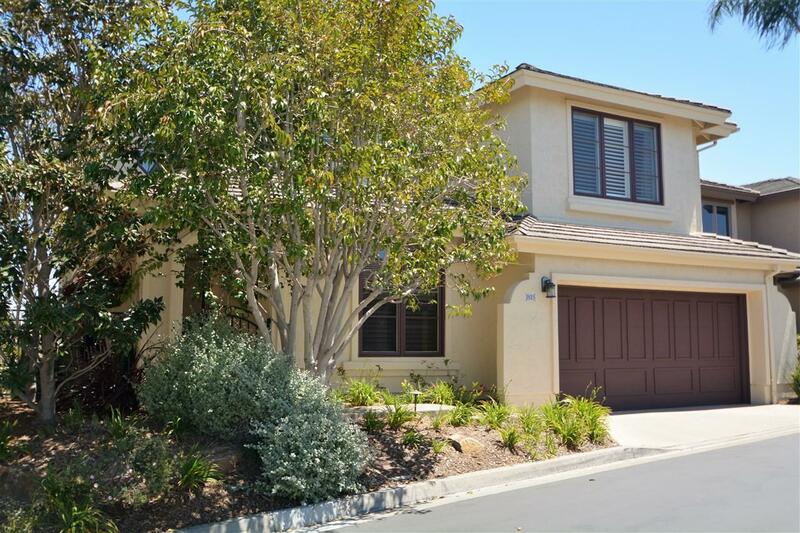 The home is also within the highly acclaimed Encinitas Union Elementary School District (Capris Elementary School) and San Dieguito Union High School District (Dieguino Middle School and La Costa Canyon High School).